Lease Offers: STK# K19446 MSRP: $20210.00. 2019 VOLKSWAGEN JETTA S MANUAL VIN# KM105730. $229/MONTH TOTAL OF PAYMENTS $8244 STK# SK19748 MSRP: $27360.00. 2019 VOLKSWAGEN TIGUAN S 4MO VIN# KM064150. $319/MONTH TOTAL OF PAYMENTS $11484 STK# SK19728 MSRP: $36010.00. 2019 VOLKSWAGEN ATLAS S AWD VIN# KC531072. $499/MONTH TOTAL OF PAYMENTS $17964 LEASE IS FOR 36 MONTHS AT 7,500 MILES PER YEAR. $.20 PER MILE OVER 22,500 MILES DUE FROM CUSTOMER AT LEASE END. INCLUDES TAX, TAGS AND DMV AND $675 ACQUISITION FEE. TAX RATE BASED ON 8%. NO SECURITY DEPOSIT REQUIRED. CUSTOMER RESPONSIBLE FOR MAINTENANCE, REPAIRS AND EXCESS WEAR AND TEAR. $395 DISPOSITION FEE. $350 EARLY TERMINATION FEE. NOT ALL WILL QUALIFY, PRICING AVAILABLE UPON APPROVED CREDIT THOUGH VOLKSWAGEN CREDIT. RESIDENCY RESTRICITONS MAY APPLY AND MUST TAKE IN-STOCK RETAIL DELIVERY BEWTEEN 3/1/19 AND 3/31/19. What does it Mean to “Be 1” at Nemer Volkswagen? “Be 1” is based on the belief that our success is wholly dependent upon delivering the best experience to our customers and employees, every single time. Anyone who steps into our doors, every customer past, present or future is one of us. 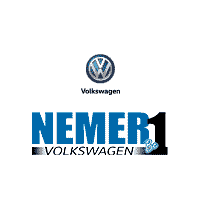 We are all one, in the Nemer Motor Group family. Make your way to Nemer Volkswagen in Latham today for quality vehicles, a friendly team, and professional service at every step of the way. And if you have any questions for us, you can always get in touch at 518-320-7838.